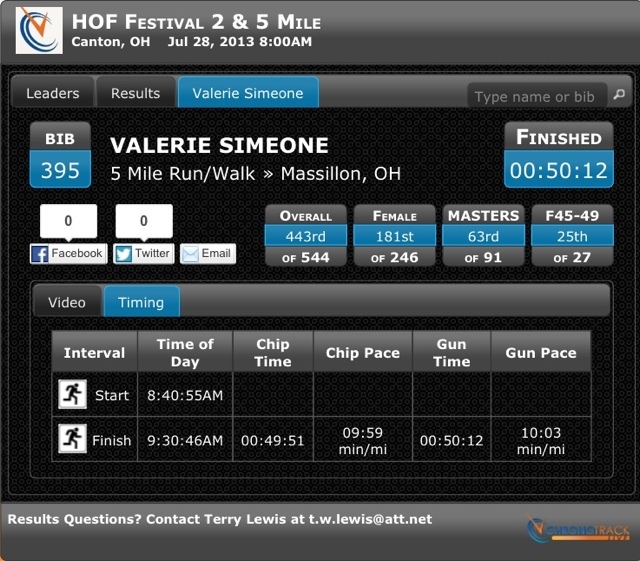 I was so happy to have achieved my goal of under 10 m/m pace only to come in second to last in my age group. On to the next race. My favorite distance in my favorite city. But it's a brand new race and there is a lot of questions in the community about how well it will be organized. No matter what, 6 weeks from today, I'll be running the inaugural Hall of Fame City Challenge Half Marathon. I'm actually excited to get back into my longer distance training. I had a HORRIBLE (but fun) weekend of eating and drinking. Tomorrow, starts over with eating clean and running long. I hope when you get off track, you can easily jump right back on board!